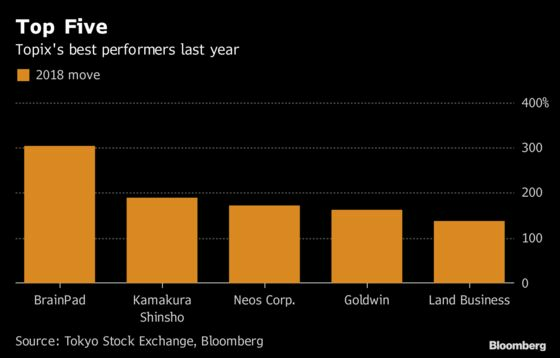 (Bloomberg) -- The best-performing stock in Tokyo quadrupled last year, but its chief financial officer says it’s still cheap. BrainPad Inc. posted a 305 percent gain, the best among the more than 2,100 constituents of the benchmark Topix index, as the data analysis company’s profit started to strengthen, reassuring investors of its ability to make money. 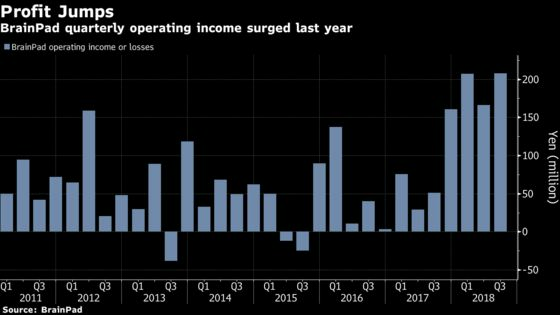 That won’t be a one-off phenomenon for the consultant to firms including Google’s Japan unit, Yahoo Japan Corp. and Japan Airlines Co., because earnings are now on a solid growth track, according to CFO Ko Ishikawa. BrainPad, which uses artificial intelligence to analyze consumption trends for its customers, surprised investors last January when it reported operating profit that was triple its own forecast for the second half of 2017. That came after earnings had been shrinking for much of the decade. The news sent shares on a tear. 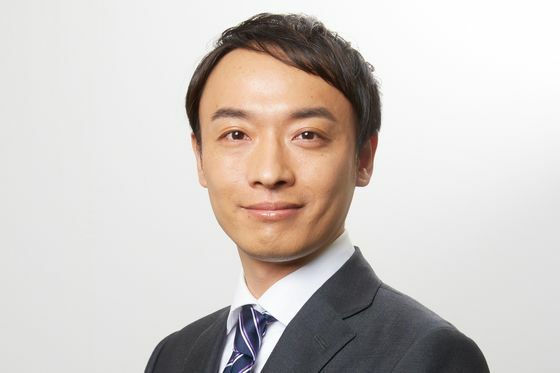 “People have finally realized that we’re a company capable of making good profit,” Ishikawa said in an interview at BrainPad’s Tokyo headquarters. The surge in 2018 has pushed BrainPad’s market value to almost $400 million. The stock trades at 87 times estimated earnings. That’s far higher than the average of 12 times for companies in the Topix, but lower than some peers such as CrowdWorks Inc., which trades at 653 times expected profits. For Ishikawa, that means the shares have room to rise. BrainPad uses AI technology to analyze large pools of data on behalf of clients. For example, in a recent project for Coca-Cola Bottlers Japan Holdings Inc., the company used deep learning technology to pool tens of thousands of photos from social-media networks to analyze what people were doing when they drank coke. The results included unexpected outcomes such as mountain climbing, helping Coca-Cola come up with new marketing ideas, according to Ishikawa. More companies are relying on AI to analyze their consumer bases, he said. Rowan Ewart-White, a London-based director at Storm Research Ltd., which doesn’t have a rating on the stock, agrees that BrainPad is positioned to grow over the long term as AI becomes more mainstream. But more immediately, he reckons BrainPad is set to fall after its strong gain last year. “Whilst acknowledging the company’s long-term growth potential, we believe patient investors will be rewarded with a more attractive entry level in 2019,” he said. There are already signs of cooling -- or at least more volatility. BrainPad fell 36 percent from its record high in November through a low on Jan. 10. Since then, it’s gained more than 20 percent.